William Henry "Bucky" Walters (April 19, 1909 – April 20, 1991) was an American Major League Baseball All-Star pitcher and the 1939 National League MVP. 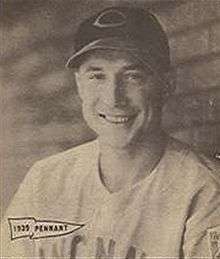 A native of Philadelphia, Walters played for the Boston Braves (1931–32, 1950), Boston Red Sox (1933–1934), Philadelphia Phillies (1934–1938) and Cincinnati Reds (1938–1948). He batted and threw right-handed. In a 16-season career, Walters posted a 198–160 record with 1107 strikeouts and a 3.30 ERA in 3104.2 innings. Walters started his career as a third baseman for the Boston Braves in 1931. After two seasons, he failed with the Braves but hit .376 in the Pacific Coast League to earn a shot with the Boston Red Sox in 1933. It wasn't until Walters was purchased by the Philadelphia Phillies from the Red Sox in the 1934 midseason that he converted to pitching. Walters developed as a sinker-ball specialist, and after winning 14 games and led the National League with 34 starts in 1937, he was traded to the Cincinnati Reds in the 1938 midseason. From 1939 to 1940, Walters helped the Reds to win two straight pennants, leading in each season the NL pitchers in wins, ERA, complete games and innings pitched. His most productive season came in 1939, when he won the Triple Crown with 27 victories, a 2.29 ERA, and 137 strikeouts (tied with Claude Passeau). 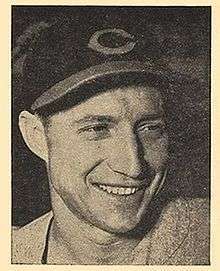 For his performance, Walters garnered Most Valuable Player honors, the second of three straight Cincinnati players to win the award (Ernie Lombardi and Frank McCormick were the others). In 1940, Walters won 22 games and posted a 2.48 ERA. When the Yankees swept the Reds in four games In the 1939 World Series, Walters started and lost Game Two and was the loser in relief of the final game. Nevertheless, in the 1940 WS, facing Detroit, Walters gave the National League its first Series game victory in three years with a three-hitter in Game Two. Four days later, he evened the Series for the Reds in Game Six with a five-hit shutout. He also became the first pitcher in 14 years to hit a home run in the Series. In Game Seven, the Reds won their second WS championship. In 1944, Walters posted a league-high 23 wins while losing only 8, and compiled a 2.40 ERA. He was named interim manager during the 1948 season, his last playing in Cincinnati, and was relieved late in 1949. As a manager, he had an 81–123 record. He briefly returned to pitching in 1950, and made a four-inning relief appearance with the Braves, for whom he was the full-time pitching coach. Walters coached for the Braves (in Boston from 1950–52, and in Milwaukee from 1953–55) and New York Giants (1956–57). He took a leave of absence from his Boston Braves' coaching tenure on June 6, 1952, to serve as the interim manager of the last minor league edition of the MIlwaukee Brewers through the end of that season. The 1952 Brewers won 101 regular-season games, but fell in the finals of the American Association playoffs. Walters then was reappointed the Braves' pitching coach for 1953, with the franchise transferring to Milwaukee during spring training on March 18. He was inducted into the Cincinnati Reds Hall of Fame in 1958. Bucky Walters died in Abington, Pennsylvania, just one day after of his 82nd birthday. In August 2008, he was named as one of the ten former players that began their careers before 1943 to be considered by the Veterans Committee for induction into the National Baseball Hall of Fame in 2009. Like Wes Ferrell, Walters was one of the first pitchers occasionally used as a pinch hitter during the 1940s.